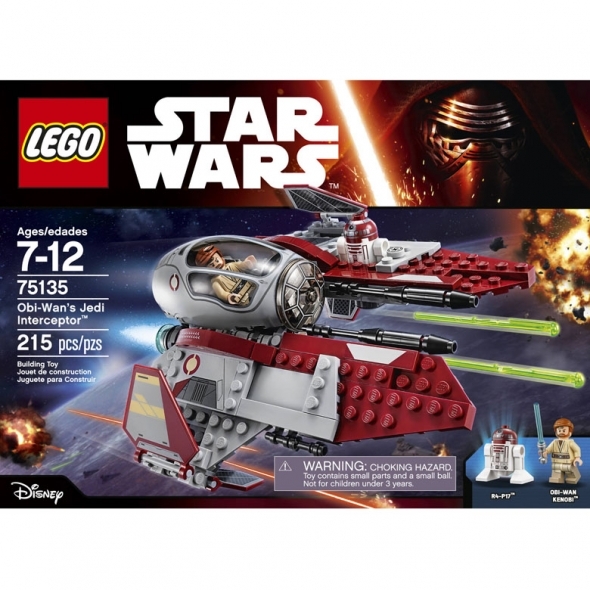 Expand your LEGO toy collection with this LEGO Star Wars Obi- Wan's Jedi Interceptor set. It features the brave Obi-Wan Kenobi ready to launch into another daring mission in his sleek vehicle, as well as an R4-P17 Astromech Droid. LEGO interceptor features the figure's authentic color scheme, a cockpit with space for Obi-Wan to sit in, dual spring-loaded shooters and extended wings on the Droid. This particular scenario is based on the opening scenes from "Star Wars: Episode III Revenge of the Sith." The LEGO interceptor toy is suited for kids aged 7 to 12 years old.